This entry was posted in Homeowners Insurance on 11/29/2017 by Alejandra Vazquez. The annual hurricane season for the Eastern seaboard and Gulf of Mexico doesn’t end until after Thanksgiving each year, but 2017 has already produced some record-setting weather events. The devastation caused by this hurricane season is considered the highest in total repair and compensation costs, with early estimates topping $315 billion. The damage to Puerto Rico alone from Hurricane Maria has made much of the island uninhabitable. Home insurance, flood insurance, and other policies are paying for a large portion of that bill. Since many factors that contributed to the scale of the damage will continue to affect future seasons, it’s important to learn what lessons we can from 2017 and apply them to the future. Many of the lives lost in Houston, Texas, and across southern Florida were preventable with better and more orderly evacuation plans. While evacuation orders still received more attention than in previous hurricanes, many vulnerable populations, like the elderly and homebound, still struggled to connect with the community resources that would help them relocate before the storm arrived. If you’re capable of traveling on your own, it’s best to leave as early as possible and respond to voluntary orders just as much as you would mandatory ones. Why? Since every person leaving takes up a space on the roads, people who leave early are creating more space and less traffic for those who can’t evacuate until the end. 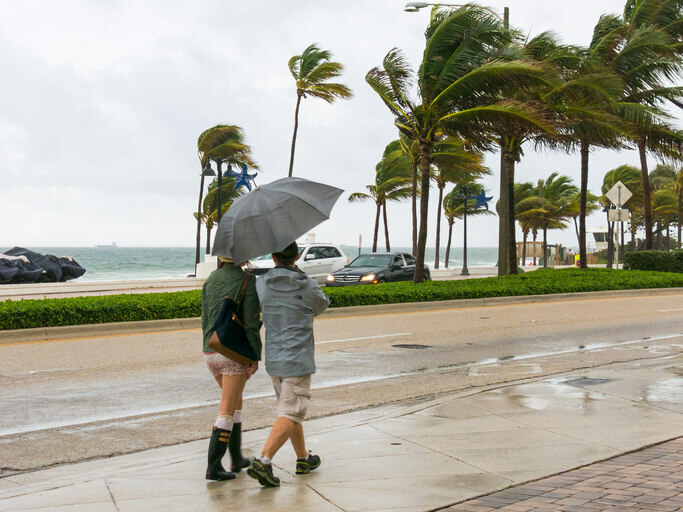 You can always file an insurance claim from another state, so there’s no reason to stay with your home when a hurricane is coming. Tarps, gloves, and other tools to help you stabilize your home if it’s damaged in a storm. No first aid kit or supply of drinking water can replace the protection of home insurance. Yet too many homeowners across the country are underinsured because their home’s value has increased since they first started their policy. For example, if you purchased your home for $150,000, you likely insured it for that amount. Imagine you’ve added an attachment and finished the basement, adding $75,000 in value. Unless you updated your policy with your home insurance agency since the improvements, you might find yourself surprised when you receive a payment for less than what it costs to replace your existing home. While checking your house insurance limits, don’t forget to see what’s excluded from the coverage as well. Flooding is specifically excluded in almost every policy, which is why the National Flood Insurance Policy (NFIP) was created to offer this service to all homeowners across the country. Millions of homeowners have signed up for the NFIP and private flood insurance policies, but unfortunately, not everyone in a hurricane or flood zone has the coverage right now. Public policy makers estimate that only 15 percent of affected homeowners in Houston, Texas carried any flood insurance. This means that many people are paying for the majority of repairs to their homes after the hurricane despite having homeowners insurance. Flood insurance quotes are likely far more affordable than you might assume, so don’t be afraid to add another insurance premium when the costs of out-of-pocket flood repairs are far higher than what you’ll spend for years of insurance coverage. Freeway Insurance has all the disaster related insurance you need. Call us today at 800-777-5620 or stop in for a free quote.